White Skin and Flesh - Soft Waxy Texture. 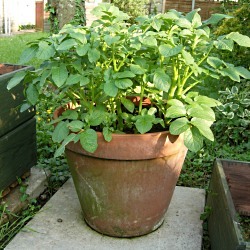 Pentland Javelin potato seed was Bred by Jack Dunnett when he worked at Pentlandfield. 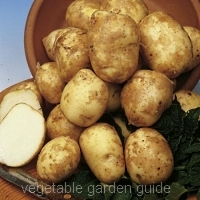 A popular showbench-quality early seed potato with good flavour and dasired for its tasty, waxy white fleshed tubers - doesn't discolour when cold. Good all round disease resistance, yield and flavour.